Lime, the bicycle and electric scooter sharing service, is officially adding automobiles to its lineup of wheels. After testing the concept, the company will kick off its new addition in Seattle, a metro where the company’s dockless bikes are a hit and other companies’ rideshare services are also enormously popular. But, Seattle has also been a thorn in the side of Lime’s dockless scooters. The city has a city-wide ban on e-scooters from bike lanes or sidewalks, and Lime did itself no favors when it reportedly set up a “pop-up” stand in a busy city park where it invited passersby to try its electric scooters and distributed handouts asking people to email city officials and urge the approval of dockless e-scooters. What kind of car and how much? 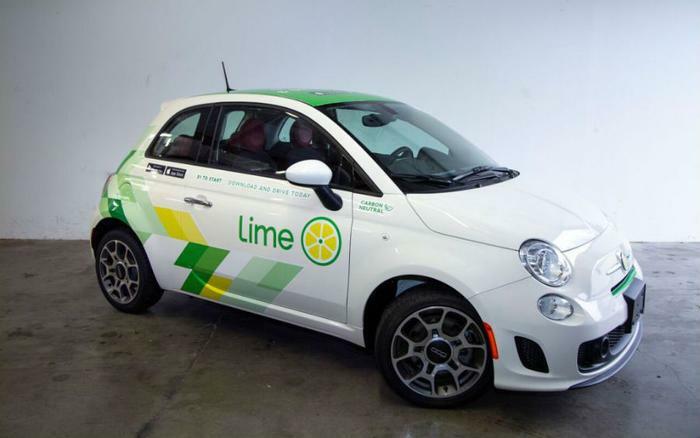 Lime likes to think of itself as “the leading micro mobility provider in the US,” and its car fleet will reflect the micro angle by incorporating the 2018 Fiat 500 as its cornerstone. The company will reportedly start with 50 of those Fiats and, then, grow organically from there, with lofty hopes of having 1,500 cars in Seattle by early 2019, according to BloombergNews. If Lime hits that mark, it would make the company the preeminent free-floating car-sharing program in any U.S. market. Similar to how Lime’s pricing works for its scooters and e-bikes, a trip in a LimePod will cost $1 just to unlock the car, then the meter starts charging 40 cents for every minute the car is in use.